We are chronicling the people, places and objects that will stand the test of time. 70 years ago, a renowned husband-and-wife design team entered a MoMA contest with a fabric design that went on to feature in homes around the world. 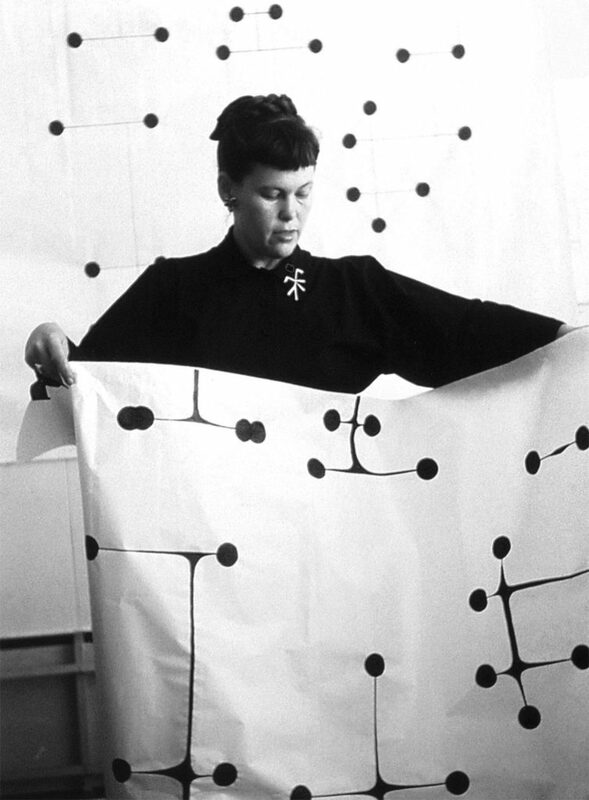 In 1947, The Museum of Modern Art held a textile contest, ‘Competition for Printed Fabrics’, and the Eames entered three new creations: Dot Pattern, Circles and Crosspatch. The straightforward names of the patterns reflect their simple, almost elementary, forms. While Crosspatch was the only of the four to be made commercially available at the time, it’s arguably the case that the ink-and-paper work of Dot Pattern had the biggest impact. Maharam, a past sponsor of the id Design Awards gift bags, developed textiles from the three Eames designs, with a fourth – Small Dot Pattern – derived from Dot Pattern. Along with Sea Things (also designed in 1947), Dot Pattern was reissued by Maharam in 2005 – testament to their timeless appeal. Like all Eames fabrics, Dot Pattern was mostly designed by Ray, and its brilliant simplicity has seen it made into upholstery, pillows, curtains, tablecloths, purses and more. Its popularity has been enhanced by American Airlines – which since 2011 has gifted millions of business class passengers with complimentary bags featuring Dot Pattern. Eames Demetrios, grandson of Charles and Ray Eames, participated in this year’s edition of Dubai Design Week, talking about his grandparents’ body of work and its legacy. His visit coincided with the opening of the new show office of Vitra – who represents the Eames brand in the region.